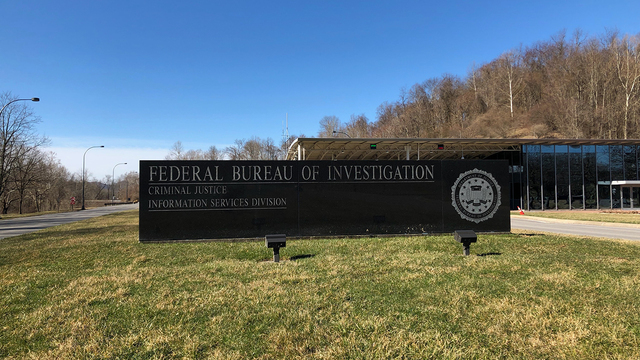 CLARKSBURG, W.Va. - Around 8:00 a.m. on Tuesday, a vehicle with two people inside ran through the West Gate of the FBI's CJIS Center in Clarksburg, officials said. The gate is located on Custer Hollow Road, which is off of Meadowbrook Road. FBI Police chased the vehicle, which crashed over a hill, according to officials. The two people in the car then ran off. A woman was arrested near the scene, while a man was later arrested by Bridgeport Police. Officials did not release the names of those involved or any charges they face. FBI agents are still investigating the motive for Tuesday's incident. There were no injuries and no initial ties to terrorism, according to officials. The FBI Pittsburgh office issued a statement commending the FBI Police and Bridgeport Police for quickly taking the pair into custody. FBI officials ask that the public comply with instructions at their gates to prevent incidents like this from happening.